Lloyd Self never expected to be working with wolves but at 5 a.m. every morning Self crawls out of bed and starts his laptop. He pulls up satellite-tracking data collected from the night before. Only a few days before I met him was his first time ever laying his hands on a computer. He was ambivalent about the machine at first, he said, but with his daughter’s training, it has become one of his most valuable tools. The map on his screen shows movement points, transmitted every six hours, from a tracking collar installed on a 2-year-old male wolf by the Washington State Department of Fish and Wildlife. Based on the map, Self knows the six members of the Teanaway wolf pack, one of 10 confirmed wolf packs in the state, are most likely at their den site a few miles away. 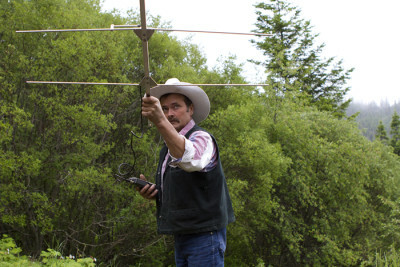 Without the computer and the satellite data, Self said, he would have almost no way of effectively tracking the wolves. 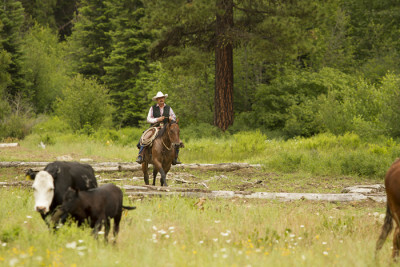 Self is the range rider hired jointly by Conservation Northwest, the Department of Fish and Wildlife and Sam Kayser the rancher who personally picked Self for the job. 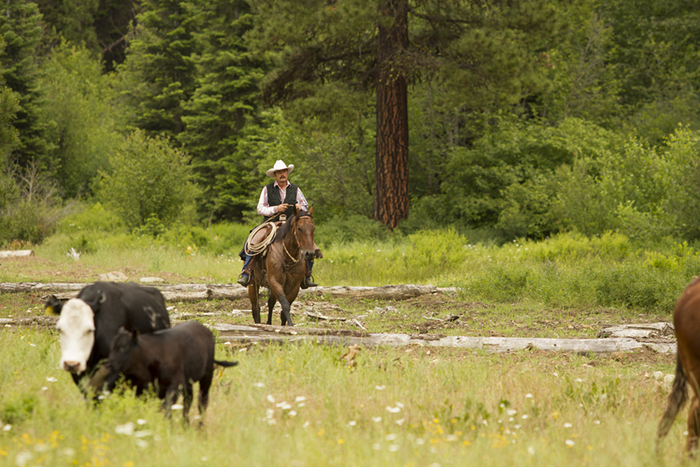 As range rider Self’s job is to prevent conflict between the cattle and the wolves in Cle Elum, Washington’s Teanaway Valley by tracking the wolves, herding the cattle on horseback and keeping a watchful eye on their relationship. Approximately 250 head of cattle, all owned by Kayser, live and graze freely day and night on the 48,000 acres to which Kayser has access. However, the range rider is a new answer to the wolf issue in Washington State. In places like Idaho, Montana and Alberta it has been successful said Conservation Northwest’s Okanogan County outreach associate Jay Kehne. So far, range rider programs in the state have had positive results. 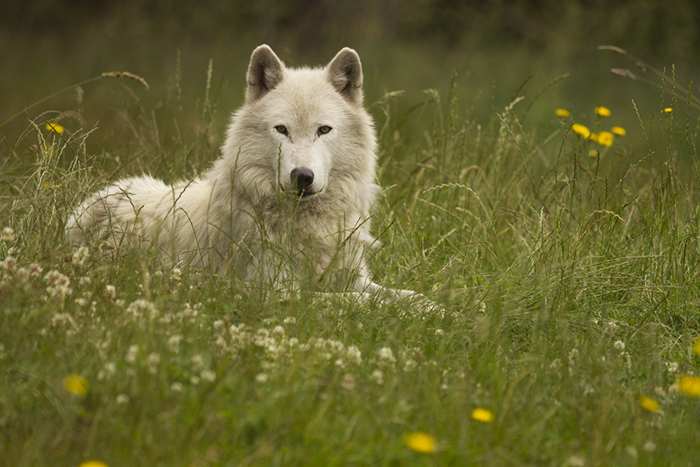 Ranchers have seen decreases in losses of cattle to wolves and other predators. Whether or not the system will work in the Teanaway region however is unknown. Once Self is finished with the computer he steps out onto the porch of his cabin and breathes in the morning air. Summer rain from the night before has left the air humid. Self starts a small fire and rests a pot of coffee on a grate over the flame. He pulls out a cigarette and lights it on one of the burning logs. For more than 35 years Self has driven cattle and he dresses the part. He is 53 and has a thick mustache. He is dressed in a jean jacket with a white cowboy hat and brown boots. Self looks like a classic Marlboro man. After taking a drag of his cigarette, he sits next to his uncle, Gary Slack, who is visiting him for the next few days. “Even in your own family you are cowboy Lloyd,” said Slack, with a laugh when we asked about Self’s knowledge of cattle. One of th e main reasons Self was picked as the range rider for this region is for his extensive experience in the area. Self has lived, worked and hunted in the Teanaway for years. When he explains the location of a place, he does it with a list of landmarks pulled from his own experience. Between creeks (he pronounces them “criks”) ridges, valleys and hills he can verbally paint a map of the surrounding Teanaway. After coffee around the fire we all pile into his pickup. Self wants to take us closer to the wolf den. On the ride we discuss some of the concerns that have been raised about the Teanaway wolves. Many Teanaway residents worry about wolves killing their dogs and cats while hunters in the region worry about wolves decimating elk and deer populations. 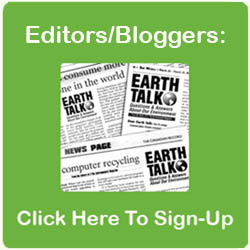 Residential populations in the area are also increasing, Self said. He is concerned that more people in the area might mean more conflict with wolves. “The thing that worries me is that somebody and their little dog is going to get close to a kill [site] and then things are going to go south,” Self said. Self hopes that his presence can act as a buffer for the wolves but there is only so much he can do. When the truck stops, we find ourselves on a mountain road overlooking a valley 4,000 feet up which is the perfect altitude for wolves. On the ridge opposite us is the wolf den. “They picked ‘em a pretty place,” Self said as he unfolds a long radio antenna attached to his GPS. Self flips on the device and it begins to emit a soft crackle. He points it across the ridge at the approximate place of the den site and through the static crackle it begins to emit a consistent sort of tone like the one given by a metal detector. As he moves it closer up the far off ridge, the frequency of the sound increases. The tone confirms that the wolf with the radio transponder is across the valley moving slowly up the ridge. Only a few days earlier while Self was on this ridge he heard the wolves howl just before nightfall. Today we decide to try to answer back. Our attempted howls echo through the valley. However, no wolves answer. We try a few more times but remain unanswered. We do not need to hear them to know they are there. On our way back from the ridge we pass by some of the Kayser cattle grazing near a creek. Self and I both spot a calf lying on its side a little ways from the rest of the herd. We both knew it was dead before we even got out of the car to examine it. On the way over, I see that something has fed on the calf. Part of me thinks that this is could be the first cattle kill by the Teanaway pack. However Self already knows what has really happened to this calf. Based on the tag Self knows the calf is 3 months old to the day. He suspects it has died from pneumonia as it positioned itself near the creek to take on water. Based on the bites he knows that coyotes must have gotten to the body. I realized then why the rancher picked Self for this job. But he knows we can only do the best we can and learn from whatever happens. “It is just going to be a game of wait and see,” Self said. Photos and video by Lauren Owens.